Vând Sunete focuses on track recommendations and features everything from new releases to genre classics, reviewed Daniel’s latest collaboration, Aurora. Borderline Music had a great 2014, and to show my appreciation, I picked it as my label of the year. From the looks of it, this year looks set to be as great, if not greater than the previous. Why, you ask? Just look at what’s coming next. Landing in at spot number 49 in the back catalogue is a tremendous collaboration between Daniel Lesden and Mekka that’s sure to please fans of the deeper, more progressive end of the trance spectrum. Aurora, as it’s been dubbed, brings together bits from progressive, influences from psy, built around a great melody and introduced as part of a rather non-standard build, to create a really unique sound. The atmosphere is great, the progression is very enjoyable and the end result is something I’m definitely going to keep in my playlists for the foreseeable future. Congratulations to Jake and Daniel. You nailed it with this one, guys! Aurora brings together bits from Progressive, influences from Psy, built around a great melody and introduced as part of a rather non-standard build, to create a really unique sound. I know taste is subjective, but quality is not. This here, is absolutely quality, something that’s become a regular thing over at Borderline HQ. Don’t take my word, have a listen to the sample below and hear for yourself. Flux BPM Online is the blog featuring reviews, interviews, and events. 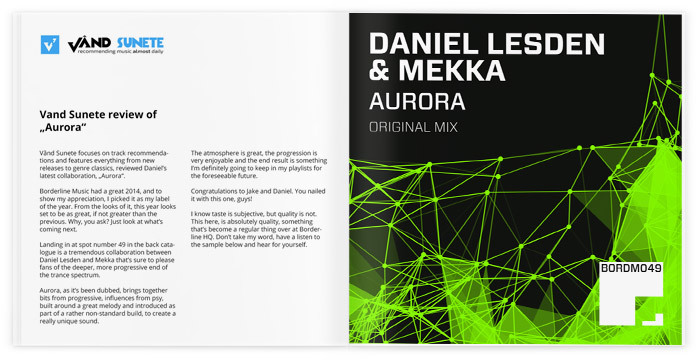 Dimitri Kechagias wrote his verdict of the latest Daniel’s single, Aurora. At the nearby picturesque city of York is based Activa’s label Borderline Music. The exceptional record label manage to stand out from the crowd and get high placements at the various download shops trance charts. The brand new release is an exceptional mixture of well produced psy trance with heavy doses of acid and magnificent melodic themes running through it. 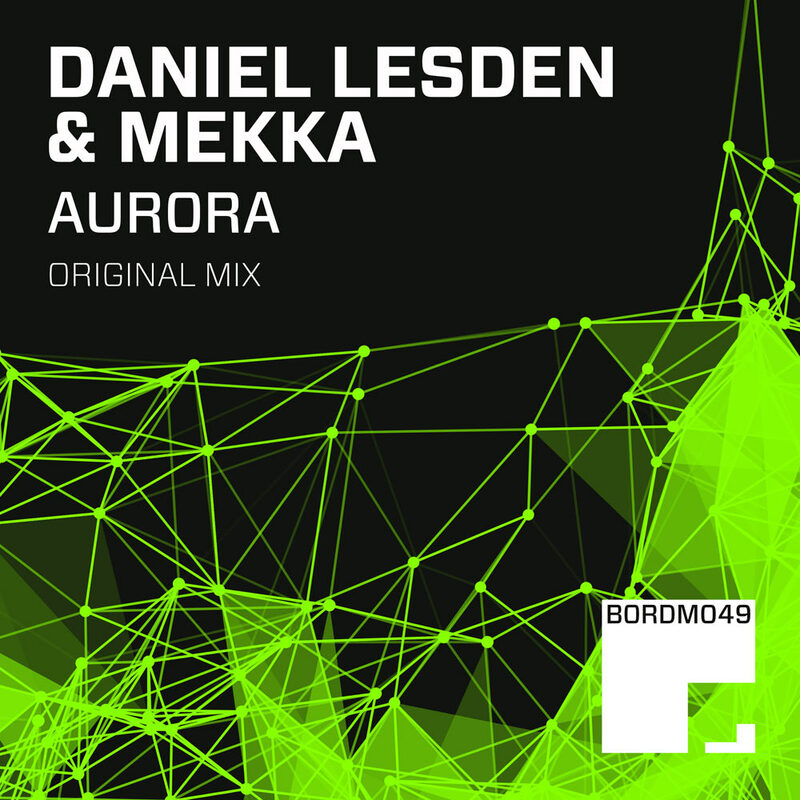 The result is the track Aurora by Daniel Lesden & Mekka. High class composition that can be played on melodic uplifting trance and psy trance sets alike. The psy kick and bassline is present along with various colourful euphoric sunny Ibiza styles synthy themes, airy pads and great atmosphere as well. The track has as a strong asset that it builds slowly and adds strong sound layers until to reach that climax that melodies and rough acid are working together to mesmerise the audience and win its attention. It’s one of those tracks that can capture your imagination and is brave attempt to cross the forbidden boundaries between the two trance camps and bridge their separate worlds. In my opinion many influences in any track can benefit the final result and on this track it’s easy to understand how much the variety of sounds and composition techniques have enhanced the mouthwatering final result that is Aurora. Pure gold, love It! A brand new single, collaboration of Mekka and myself, is signed on Borderline Music. Stay tuned for more info and the preview.